Do you know that Orchid - Papilionanthe Miss Joaquim (commonly known as Vanda Miss Joaquim) - is Singapore's national flower since 1893 and is part of one of two largest flowering families (the other is Asteraceae) that has more than twice the number of all bird species?! 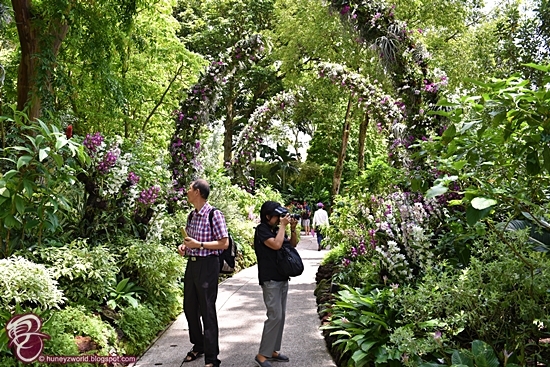 To catch this diverse plant family that has an unique ability to grow in different environments, including on trees, you may wish to head down to Singapore Garden Festival (SGF)'s inaugural Orchid Show at National Orchid Garden in Singapore Botanic Gardens. Inaugurated on 21st April 2018 by Mdm Halimah Yacob, President of the Republic of Singapore, together with Mr Lawrence Wong, Minister for National Development and Second Minster for Finance, SGF Orchid Show has been introduced as part of a new format to allow more visitors to partake at one of the world's best Garden Show. Over the nine (9) days, from 21st to 29th April 2018, visitors will be wowed by more than 100 orchid varieties and over 500 of the region's best orchid plants. 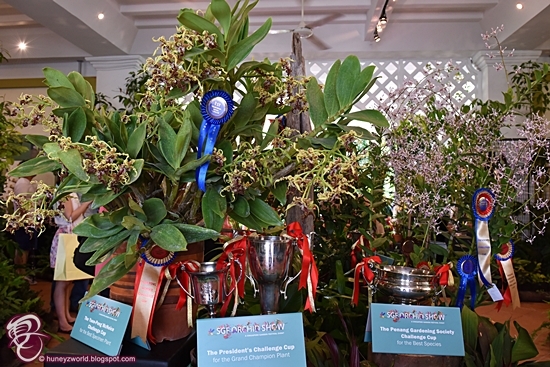 Amongst these winners of 38 heritage trophies, including the President's Challenge Cup , which is awarded to the best plant in the show at the Burkill Hall. There are 17 orchid landscape displays at the Orchid Plaza, of which 13 competitive displays are put together by local and regional growers. A special non-competitive displays titled "Celebrations!" at Singapore Garden festival Orchid Show. Huneybees, you may wish also to visit "Celebrations! 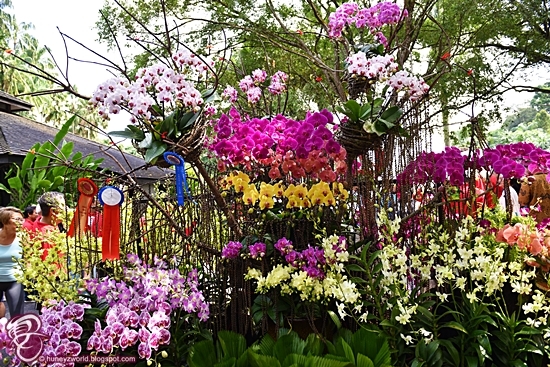 ", a special non-competitive display that marks Singapore's chairmanship of ASEAN this year, which presents some of the most beautiful and robust orchids native to ASEAN countries, as well as the commerative Renanthera ASEAN 2018 Orchid, a hybrid that symbolizes the unity and strength of ASEAN member states. 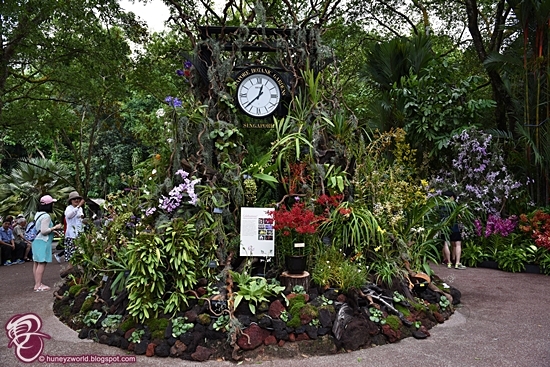 There is also a creation "Orchid Splendour" by staff of National Orchid Garden, next to Celebrations!, to mimic a freshwater swamp setting, where some of the species have been reintroduced to their natural habitat. 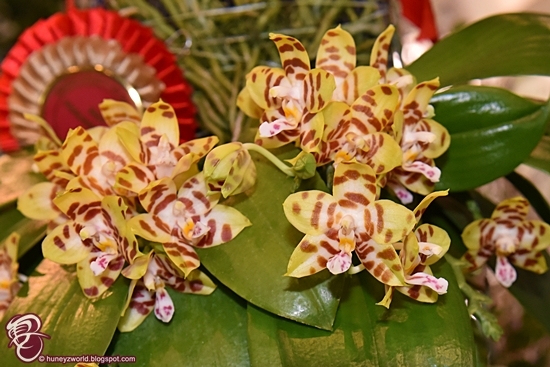 All in all, there is something for everyone attending the inaugural SGF Orchid Show. 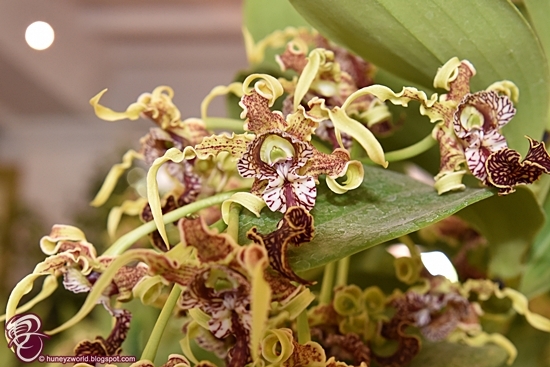 For the young ones, they can participate in orchid-related craft workshops, while both floral novice and orchid enthusiasts can look forward to having a better understanding on the topic through the scheduled tours, talks and demonstration. 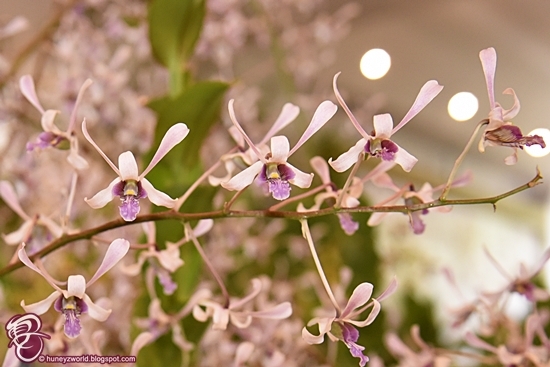 Entry for Singapore residents to the SGF Orchid Show is Free (need to present your identity card) while international visitors can purchase tickets from the National Orchid Garden. Do note that the opening hours for SGF Orchid Show are from 8:30am - 7:00pm daily, with the last ticket sales and entry at 6:00pm.